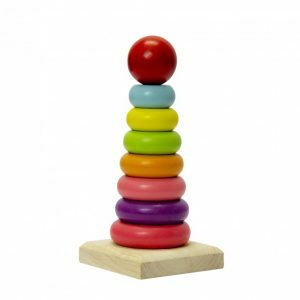 Jeronimo – Wooden Stacking Rings – The classic Jeronimo Wooden Stacking Rings is the must-have toy for young children. The toy is designed to help children with their gross motor skills as well as enhance logical thinking and problem solving. Children will love trying to stack the eight different sized rings on the solid wood base that has been designed with rocking edges for safe and intriguing play. The brightly coloured rings are smooth and easy to play with. Logical thinking: ability of thinking and solving problems. Learning to walk has never been more fun than with this very special Wooden Activity Walker by Jeronimo. 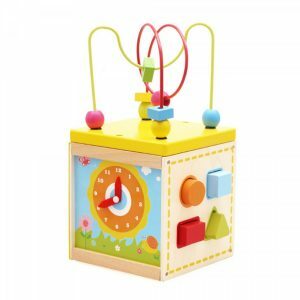 There are plenty of things to keep your baby entertained, such as cube puzzles, spinning blocks, wire beads, a shape sorter, peg maze and xylophone! All the things necessary to keep your baby happy while stimulating their development and gross motor skills. 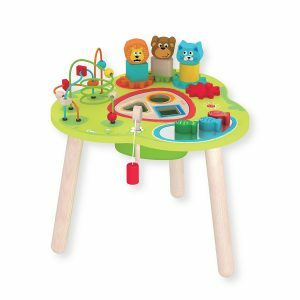 Wooden Activity Table – The toy wooden activity table is a wonderful way to stimulate development and problem-solving skills in your child whilst improving their fine and gross motor skills. Your child will learn colours, numbers, shapes and lots more whilst having hours of fun! The wooden activity table contains a beads roller coaster, a spinning gear, magnetic fishing, shape sorting and matching games. There is a handy net underneath the table which can be used to store all the included items. This toy is recommended age 18 months and older and is made of smooth, splinter free wood. 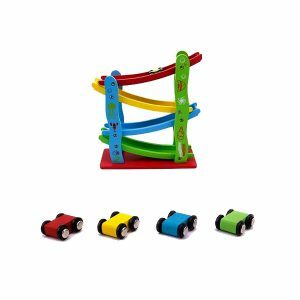 The wooden activity a table contains with a beads roller coaster, spinning gear, magnetic fishing, shape sorting and matching. Spatial thinking: understanding locations and spatial relations of objects in games. Latch Board – Behind the Door – The latch board features fun doors to open and close. Unhook the latches to open the doors and see who and what’s inside whilst improving your fine motor skills. The latches board has 9 doors containing a different lock or latch to keep your little one entertained. 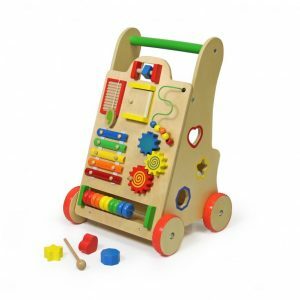 The latches board enhances your child’s hand-eye coordination and imaginative play. 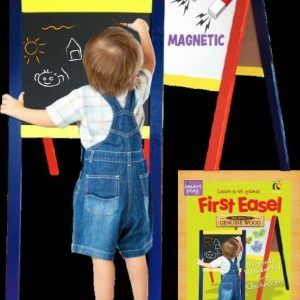 The latches board is made from wood and recommended for children age 3 and older. Unhook the latches to open the doors and see who / what is inside, then close the doors and buckle up again! Each door fastens with a different lock or latch. 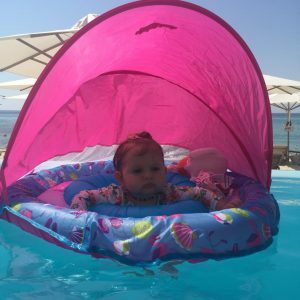 Kids Inflatable Splash Pool – Unicorn – Make summer an unforgettable season for your child with the amazing Fine Living Kid’s Inflatable Splash Pool. They will love the fun 3D design and splashing around in their own little space. The splash pool is made from vinyl with a non-inflated bottom. It’s also lightweight and easy to take with you if you’re going on a holiday. It's absolutely a blast with this inflatable swimming pool! A nice sized pool that is great for your backyard. Swim, float, soak in this giant 3D swan shape pool! Let the whole family cool off on a hot day. Nuovo – Ellie Cushion with Blanket or without in Grey! SAVE 52%! 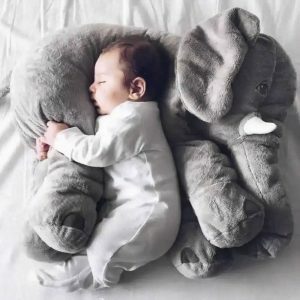 Get cosy with one of these cute stuffed elephant plush pillows with a blanket, product for assured comfort. Comes in a variety of colours. 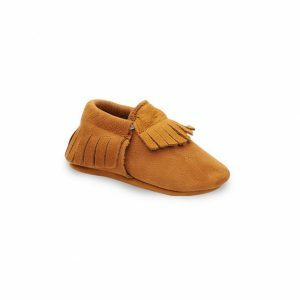 The cornerstone of any moccasin collection is the classic brown suede, silhouette we call Pretty Brown Eyes. Named after owner Lisa K’s popstar husband, Danny K’s hit Brown Eyes. Its neutral palette makes it the perfect mocc for boys and girls. The joy your little one will get from these beauties will bring music to your ears. Wooden Train set by Jeronimo will keep your little one entertained for hours. Watch as they create their own mini town, complete with buildings,a bridge and traffic signs for the vehicles to maneuver through! 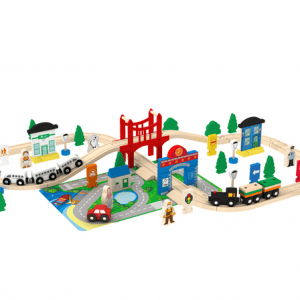 Building of the track and setting out the figurines,trees and road signs, enhance your childs sense of organizational skills, and planning, while tracing the train around the track aids in development of fine motor skills. Give your little ones the need for speed. Grab a kids’ wooden miniature speeding car. A great addition to any toy box. Comes with four cars for endless fun. 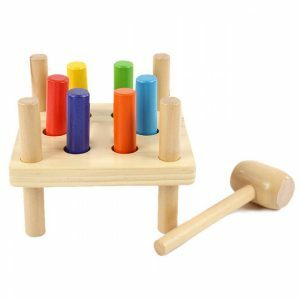 The classic Wooden Hammer and Pegs toy provides hours of play as well as encourages find and gross motor skills. Hammer colourful wooden pegs until they push through the other side, then flip over and start again. Nuovo – Puzzle Play Mat – Create a fun, colourful and comfortable spot in your home for your little one to play on. The Nuova Puzzle Play Mat is made up of 36 pieces of interlocking tiles with alphabets and numbers on them. Includes 26 Alphabet letters (a-z) and 10 numbers (0-9). Each letter can pop out, which creates a life-size puzzle for your child as well as help them learn different colours, the alphabet and counting. This improves their hand-eye coordination as well as cognitive and problem-solving abilities, all while having fun. The soft foam material keeps the floor safe for your child. The pieces are easy to clean using a damp cloth and mild soap.